Canadian Solar, one of the world’s largest solar power companies, have modified their financial guidance for the fourth quarter and full year 2017, resulting in increased total solar module shipments for 2017 of nearly 7 gigawatts. 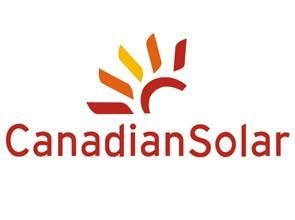 As announced last week, Canadian Solar updated its fourth-quarter and full year 2017 guidance “to reflect timing of certain solar project sales.” Specifically, in its third-quarter financial report announced in November, the company explained that it had entered into definitive agreements with two buyers to sell a portfolio of 6 solar power projects in California amounting to 703 megawatts (MW). These transactions have not been completed yet, subsequently modifying the expected revenue the company will take in during the fourth quarter. In particular, Canadian Solar has adjusted its guidance for total revenue for the fourth quarter to be in the range of between $1.04 to $1.08, down from an originally guided range of between $1.77 and $1.81 billion. However, that is the only downward shift in Canadian Solar’s guidance modifications, as the company also announced that it was updating its solar module shipments for the fourth quarter, from an original range of 1,650 MW to 1,750 MW to a new guided range of between 1,720 MW to 1,820 MW. 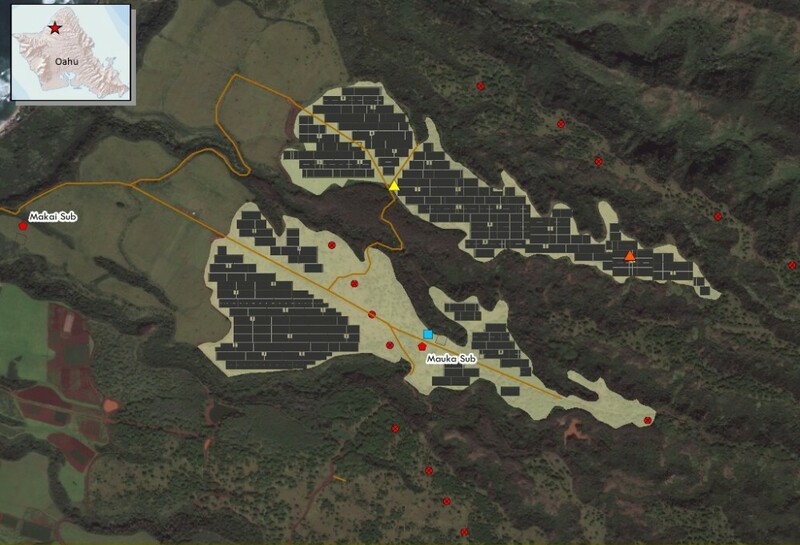 Gross margin has also been modified upwards as well, from between 10.5% to 12.5% up to 16.5% to 18.5% (due to low margins on the expected solar portfolio transaction). Canadian Solar has also increased its solar module shipments guidance for the full year 2017 to be in the range of 6.8 GW to 6.9 GW, compared to previous guidance of between 6.7 GW to 6.8 GW. Total revenue for the full year 2017 is now expected to be in the range of $3.33 billion to $3.37 billion, down on the previously guided $4.05 billion to $4.09 billion. US Trade Commission Finds That Imports Of Cheap Solar PV Panels Have Hurt “Domestic” Firms — Will Trump Impose Tariffs To Protect US Solar Manufacturers? The import of cheap solar photovoltaic (PV) panels has harmed two solar energy firms, a US International Trade Commission investigation into the matter has found. The vote was unanimous apparently, with all four voting commissioners backing the ruling. That said, there is a lot more context that puts the case into broader context … and shames the solar companies that brought the suit. Notably, practically every solar company in the US opposed the case brought by two “domestic” solar energy firms, and those firms are actually owned by German and Chinese companies. In the case of the latter, the parent company in China opposes the case brought by its bankrupt US subsidiary. Nonetheless, with the ruling made, US President Donald Trump is now in the position to impose tariffs on imports as a means of protecting US solar PV panel manufacturers, if he so chooses. Georgia-based solar PV manufacturer Suniva — the bankrupt firm responsible for getting the process going with a complaint back in April — would no doubt like it if action were to be taken, but it’s not clear yet what Trump intends. Considering the bellicose tone taken by the US President with regard to some of the trade practices used by China, it doesn’t seem too unlikely that some sort of action will be taken. If action is taken, it could of course be intentionally ineffective and mostly for theatrical value — which would mean no major changes on the ground. We’ll have to wait to see what happens. All of that said, it’s also important to realize that this trade case doesn’t contend foreign manufacturers did anything wrong. It just contends that the US companies in question were hurt by foreign imports. Reuters provides more: “The outcome was a sharp blow to the solar installation industry, which strongly opposed Suniva’s petition on the grounds that it would drive up the price of solar power just as it is becoming competitive with electricity generated from fossil fuels. “The Solar Energy Industries Association (SEIA) trade group lobbied heavily against the petition, and on Friday vowed to be ‘front and center’ in the remedy process. 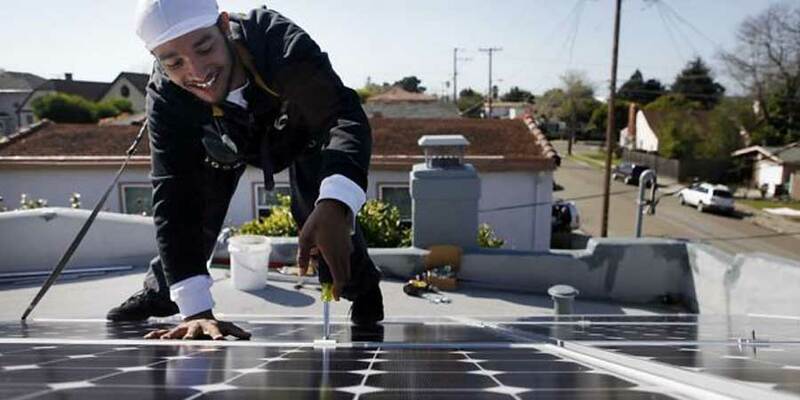 SEIA has warned that the solar industry would lose 88,000 jobs, or one-third of its workforce, if the hefty protections Suniva proposed in its petition are implemented. As a reminder here, US solar panel manufacturing capacity currently represents only around 2% of total global production capacity. 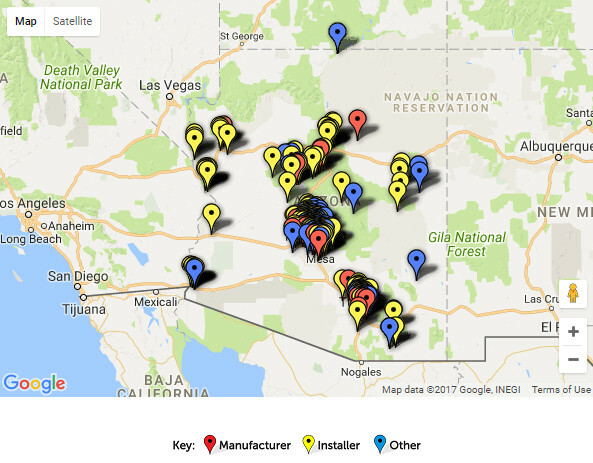 Additionally, the vast majority of solar jobs in the US relate to installation, not production. If action is taken, then I suppose that firms with US-based manufacturing, such as Tesla, stand to benefit quite a bit. You’ll recall that production of Tesla’s solar roof product has now begun at its new facility in Buffalo, New York. It’s even more chicken-feed than that. SQN demanded that Suniva file the case in order to get a mere $4 million loan to see it through the restructuring. “The case is unusual — and not just because Suniva’s majority owner, Shunfeng International Clean Energy Ltd., opposes it. It also was pursued under a rarely used provision of a trade law that offers companies a ‘global safeguard’ that can result in broad, uniform protection against imports — not just tariffs on specific countries or companies. Under that 1974 trade measure, Suniva only had to prove that imports have caused it ‘serious injury’ — not that foreign competitors did anything unfair or illegal. … Even when the ITC sided with domestic manufacturers, presidents were often unlikely to impose a penalty. These cases have had a resurgence under Trump, whose protectionist rhetoric may be leading companies to think he’ll support tariffs or import quotas. So, a $29 billion industry may be destroyed because one greedy lender was trying to squeeze a few extra bucks out of a bad investment. Welcome to the madness that is America in the age of Trump. 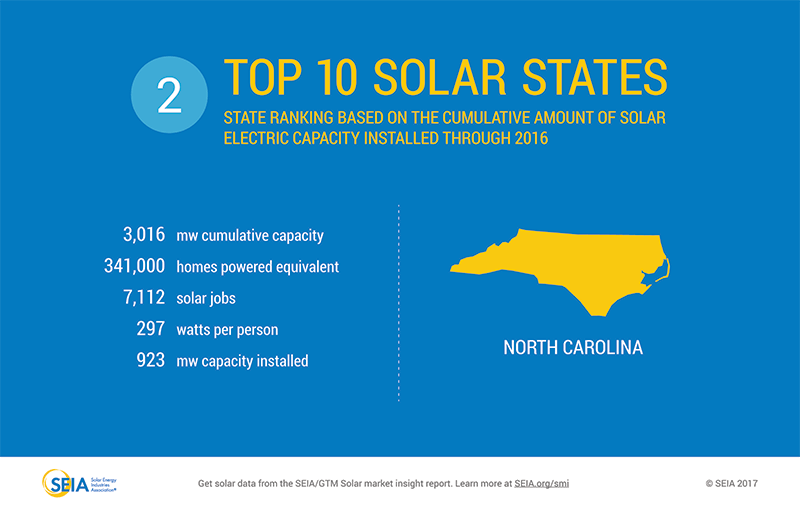 It might surprise you to find out that North Carolina is the number 2 solar state in the nation for 2017. But in North Carolina solar energy represents a bountiful crop and the enterprising folks of the Tar Heel State are great at harvesting sunshine. 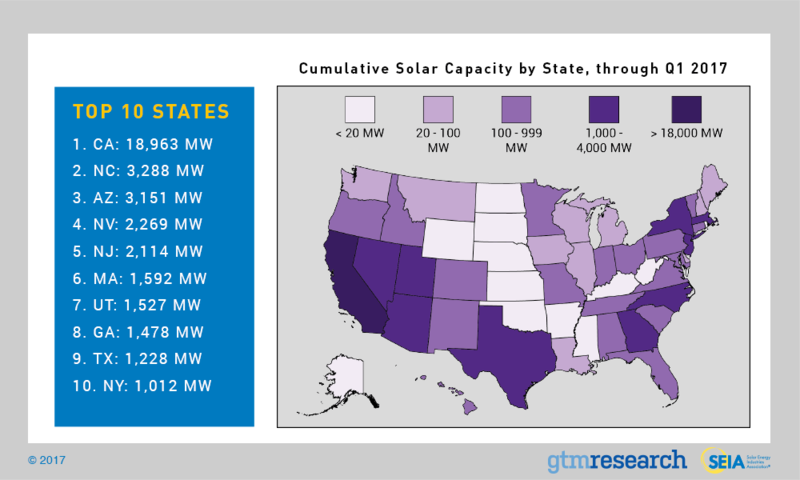 The following article offers an in-depth exploration of current data, policies, incentives, and trends related to North Carolina solar energy. Please feel free to provide additional contributions in the comments section, below. Rising from last year’s 4th position to the number 2 state for solar capacity installed, over 994 MW was installed in 2016. The Solar Energy Industries Association (SEIA) reports that North Carolina solar energy capacity rose to a total of 3,287.5 MW installed to date. According to the latest data for North Carolina solar energy, SEIA states that this stunning solar capacity is equivalent to powering over 371,000 homes, or more than 297 watts per person. SEIA is also predicting that North Carolina solar energy capacity will increase to more than 3,560 MW installed over the next 5 years. 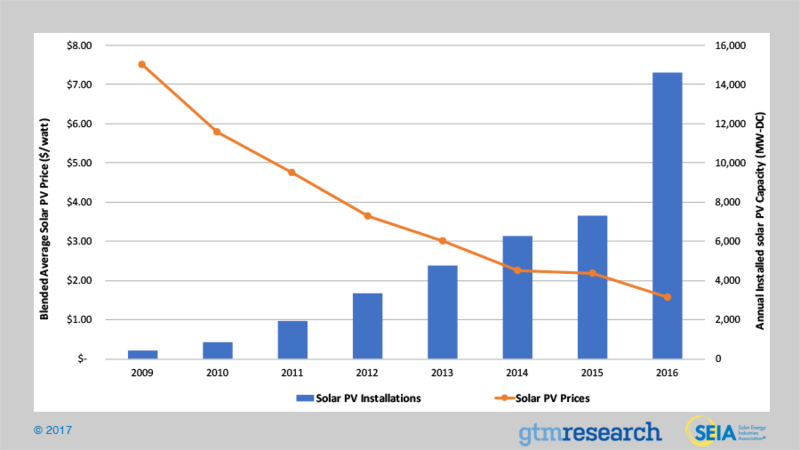 Tracking closely the price declines for the US, which has seen a 70% drop in solar costs since 2010, costs for North Carolina solar energy projects have likewise fallen by 64% over the past 5 years. And, as solar costs have declined, North Carolina’s economy has benefited strongly from rising investments in solar power projects. Leading the South, and 4th in the nation, this past year witnessed more than $1,174 million invested in solar, bringing the current total for solar investments in North Carolina to over $5,236 million. 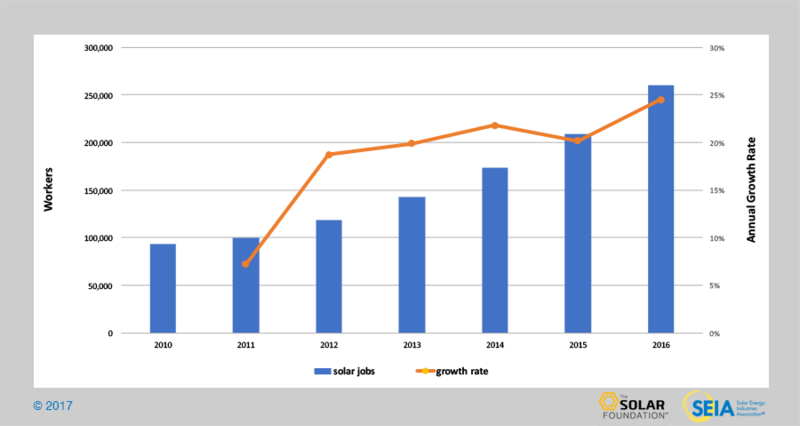 With rising investments in solar power projects, North Carolina’s solar jobs market has also improved. 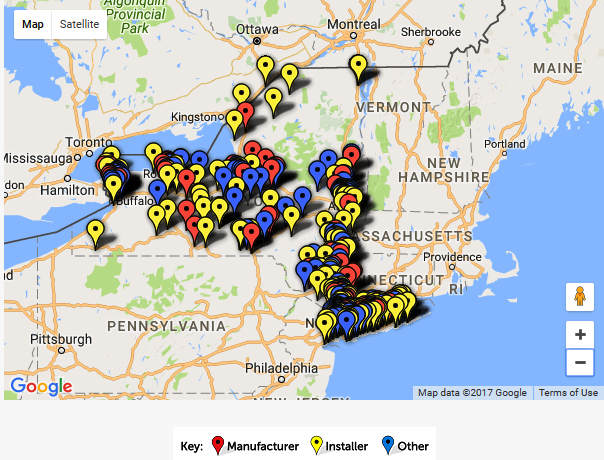 SEIA reports that 7,112 positions are now filled in the state’s solar industry, spread across 248 businesses. 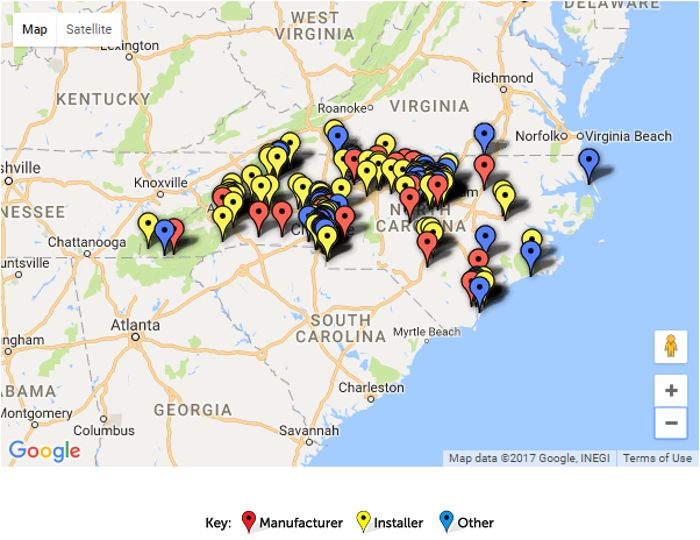 North Carolina solar energy-related companies include 108 installers/project developers, 43 manufacturers, and 90 other solar-related firms, such as architectural/engineering firms, financial service providers, equipment distributors, not-for-profit solar promoters, project consultants, solar power service providers, etc. 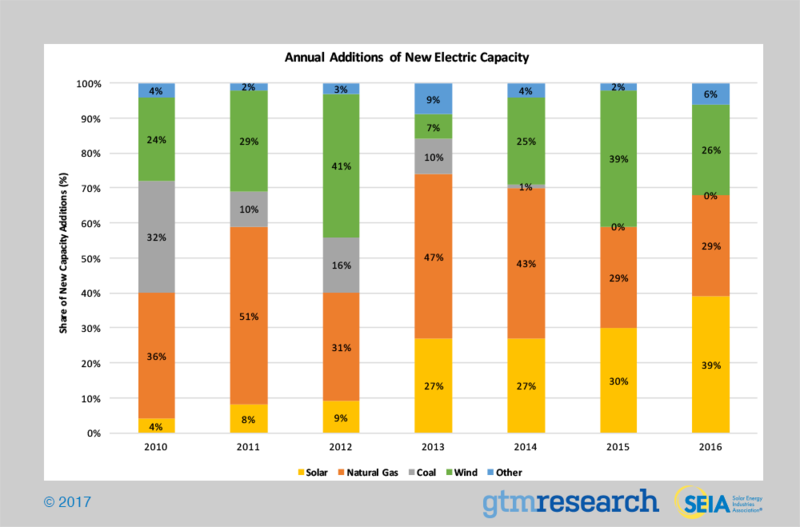 While the trend for North Carolina solar energy capacity is mostly positive for the foreseeable future, there are some major concerns in the market. SEIA reports that the 31 December 2015 expiration of the state’s renewable energy tax credit, in place since 1977, and the 31 December 2016 expiration of the Renewable Energy Production Tax Credit (PTC) are negatively impacting North Carolina’s future solar market growth. Also problematic, SEIA notes, is North Carolina’s backlog of interconnection agreement assessments, impacting the timely completion of current solar power projects. On the positive side, SEIA applauds North Carolina solar energy capacity growth due to strong state policy and regulatory support, especially the state’s Renewable Energy and Energy Efficiency Portfolio Standard (REPS), which calls for 12.5% of investor-owned utilities’ electricity coming from renewable sources by 2021. In addition, a new law authorizing solar leasing was recently signed by Governor Roy Cooper and is widely expected to boost residential solar installations across the state. North Carolina is also privileged to host major players in all fields of the solar value chain. Major investors include such big names as Bank of America in Charlotte and Blue Cross & Blue Shield of Durham. 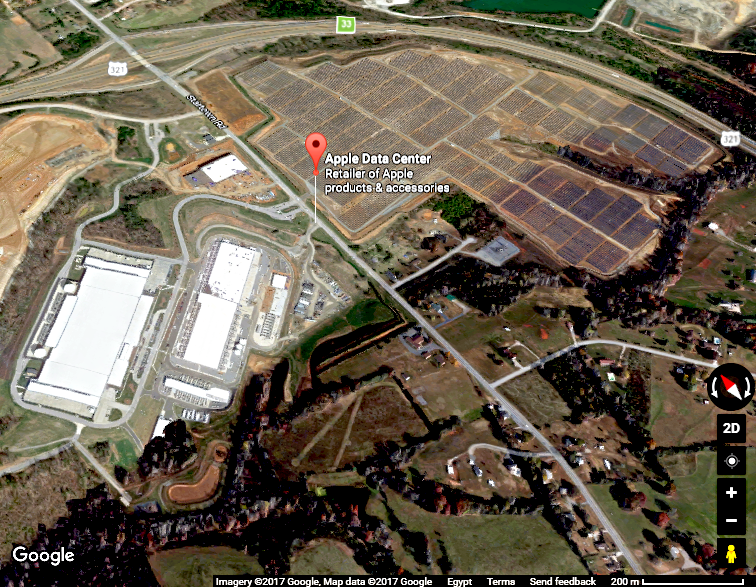 Major developers include O2 Energies of Cornelius; construction contractors such as Horne Brothers of Fayetteville; solar panel manufacturers such as DuPont of Fayetteville; and component manufacturers such as ABB of Raleigh for inverters, Schletter of Shelby for racking, and Torpedo Specialty Wire of Rocky Mount for electrical wiring. Historically struggling to increase jobs and businesses, rural areas of North Carolina are now witnessing record-breaking growth as utility-scale solar installations are rising all across the state. As of March 2016, utility-scale solar installations in North Carolina owned by Duke Energy and other companies total over 2,087 MW of solar capacity. Duke Energy alone has around 450 MW of solar capacity in the state, enough solar power to plug in about 85,000 homes. 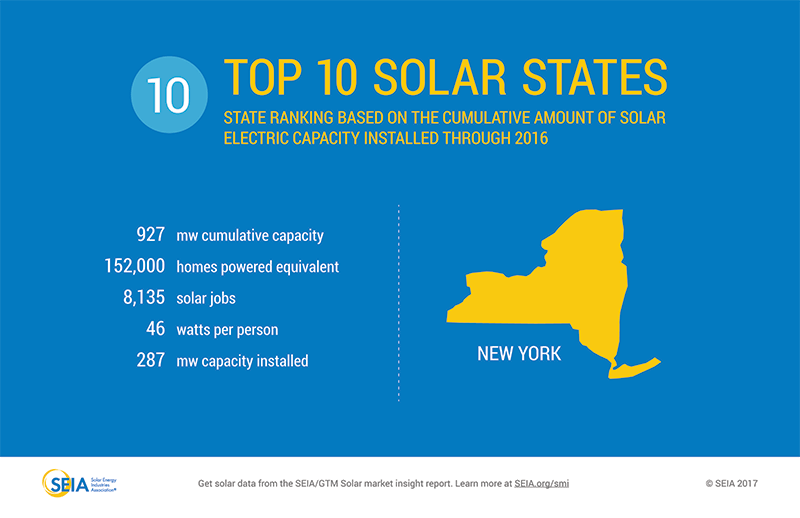 Bringing much-needed growth in jobs and economic development opportunities, SEIA reports that some of the highest levels of investment are in rural counties, with Catawba, Robeson, and Wayne leading in utility-scale solar investments. The federal solar investment tax credit (ITC) is available across the United States. The ITC offers a credit from the federal government of up to 30% of a solar installation’s costs. However, you can only take full advantage of the credit if you have that much tax liability in the tax year. Under current law, the 30% ITC is extended through 2019 but is scheduled for a phase-out after that. In the 2020 tax year, the credit decreases to 26%. It drops to 22% for the 2021 tax year and is scheduled to expire on 31 December 2021. Existing homes and new construction of both principal and second homes qualify for the ICT. Rental homes, however, do not qualify. Businesses may also qualify for a corporate depreciation incentive, as well as the Business Energy Investment Tax Credit (ITC-1603). The following is a limited sample of state solar energy incentives recorded on the North Carolina page of the DSIRE Incentives Database. Operated by the N.C. Clean Energy Technology Center at N.C. State University, the Database of State Incentives for Renewables & Efficiency (DSIRE) website offers a comprehensive and up-to-date public clearinghouse for solar energy incentives across the US, including federal and state incentives, programs, and policies. 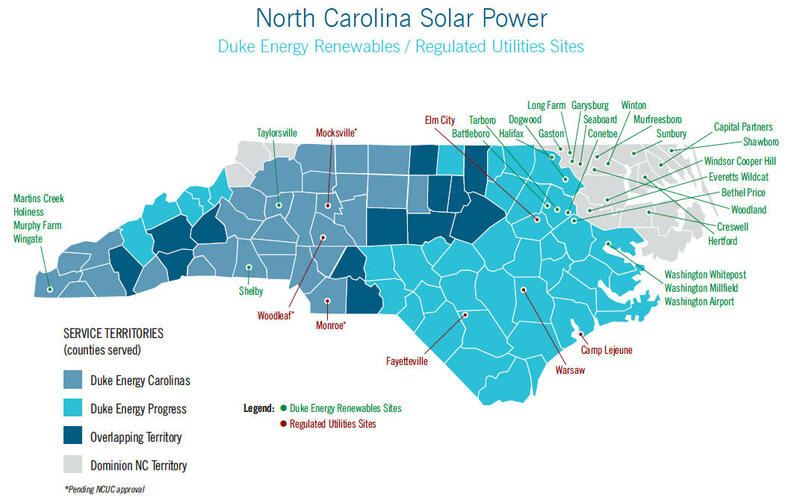 Established in 2005, the North Carolina Utilities Commission (NCUC) provided net metering rules for the three investor-owned utility companies: Duke Energy, Progress Energy, and Dominion North Carolina Power. Rules were amended in 2009 and will be amended soon to meet new requirements established by HB 589, signed into law in July 2017. HB 589 includes several new provisions for net metering. Each investor-owned utility must file revised nondiscriminatory rates with the NCUC, established only after a costs and benefits investigation of customer-sited solar energy generation. The new rates will require net metering customers to pay their full fixed cost of service, possibly including fixed monthly energy and demand charges. Until the new rates are established, solar customers are eligible for their utility’s existing net metering tariffs, detailed as follows. Customers who own their systems and are net metering under their utility’s existing tariffs will have the option to remain on these tariffs until 1 January 2027. • A customer may choose to net meter according to any available rate schedule. However, net metering under any tariff besides a time-of-use demand (TOUD) tariff will require the customer to surrender all renewable energy credits (RECs) associated with customer generation to the utility with no customer compensation. • For residential installations up to 20 kW and non-residential systems of up to 100 kW capacity, the utility may not impose standby or additional metering charges beyond those normally charged to non-net metering customers under the applicable tariff. For larger installations, the utility is allowed to charge standby charges according to approved standby rates applicable to other customer-owned generation. • Net excess generation (NEG) during a billing period is carried forward to the next billing period at the full retail rate of the utility. However, at the beginning of each summer billing season, accumulated net excess generation is surrendered to the utility with no customer compensation. • For customers on TOUD tariffs, on-peak NEG is used to offset on-peak consumption, and off-peak NEG offsets off-peak consumption. Remaining on-peak NEG, after offsetting on-peak consumption, may additionally be used to offset off-peak consumption, but off-peak NEG may only be used for off-peak consumption. • Net metering is available for eligible systems with battery storage. However, manipulating NEG via battery storage technology under a TOUD tariff is not allowed. • Blue Ridge Electric Membership Corporation Net Metering program is handled slightly differently. Please consult the DSIRE listing for further details. • Net metering customers are not eligible to participate in the statewide NC GreenPower Program (see next section). North Carolinians who are not participating in net metering have the option to sell Solar Renewable Energy Credits (RECs) through the statewide not-for-profit NC GreenPower (NCGP) production incentive program. Owners of small solar energy systems up to 5 kW may apply online at any time, but payment arrangements for systems over 5 kW (to a maximum of 10 MW) are made by submitting a proposal for consideration when NCGP issues an RFP. • Incentive Amount: Varies by technology and system size: PV up to 5 kW: $0.06/kWh; PV larger than 5 kW: must enter bid process; Wind up to 10 kW: $0.09/kWh; Wind larger than 10 kW: must enter bid process. • NCGP is an independent, not-for-profit organization created in October 2003 by a consortium of North Carolina government officials, electric utility companies, nonprofit organizations, consumers, renewable energy advocates, and other stakeholders. It was the first statewide green power incentive program in the US. All three investor-owned utilities and many of the state’s municipal utilities and electric coops are participating in the NC GreenPower program. • Eligible generators enter into power-purchase agreements (PPAs) with NCGP as well as their utility company. Guaranteed contracts are not provided by NCGP to generators, however, because premiums paid to NCGP are funded solely by voluntary contributions from statewide electric customers. • Incentives include payments from NCGP and from utility PPA, made on a per-kilowatt-hour (kWh) basis varying by technology. Small solar energy system owners currently receive $0.06/kWh from NCGP, plus about $0.04/kWh from their utility PPA, for a total production incentive of approximately $0.10/kWh, paid quarterly. • Tennessee Valley Authority (TVA) customers are also eligible for the TVA Green Power Providers (GPP) program. This 20-year program for eligible generators provides an incentive of $1,000 upon installation. TVA purchases 100% of the output from eligible systems at a premium of $0.02/kWh on top of the retail electricity rate. For years 11-20 of the contract, participants are paid only the applicable retail rate. Payments may be made monthly or annually. Current premium amounts are published annually. For more details, please see the Green Power Provider Guidelines for 2017. Effective 1 July 2008, 80% of the appraised value of a solar energy electric system is exempt from property tax. In February 2011, further clarification was issued to provide 100% exemption for residential PV solar systems not used to generate income or in connection with any business. Legislation signed into law in August 2007 required the NCUC to establish interconnection standards for distributed generation systems with up to 10 MW capacity. Similar to the Federal Energy Regulatory Commission’s (FERC) interconnection standards for small generators, the NCUC standards govern interconnection to distributes systems of Duke Energy Progress, Duke Energy Carolinas, and Dominion North Carolina Power. Municipal utilities and electric cooperatives in the state are not governed by the NCUC’s interconnection standards. 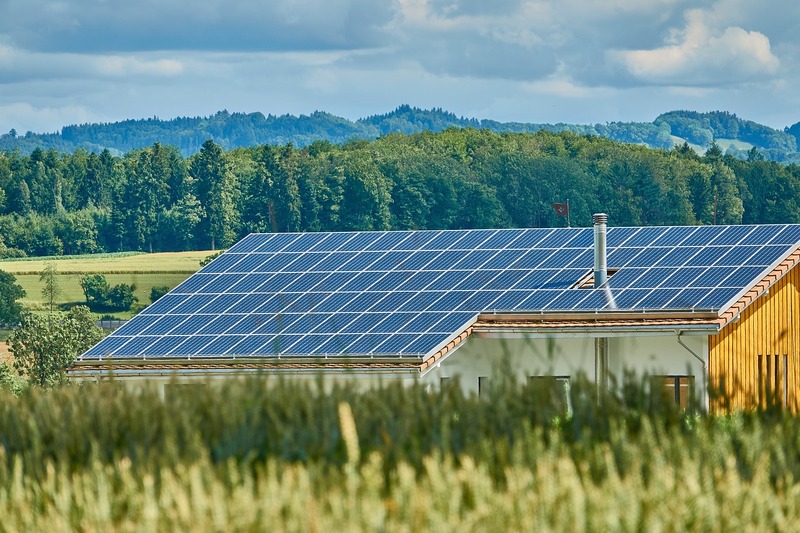 The applicable interconnection standard for most North Carolinian homeowners is the Inverter Process. Specified for systems up to 20 kW in capacity, homeowners pay an application fee of $100 and the utility may require an additional safety disconnect switch. The fee must be reimbursed if the system is under 10 kW. Learn more details on DSIRE’s NC interconnection standards listing. A recent study from the Center for the New Energy Economy notes that North Carolina does not have a procurement target or set goals for energy storage. It adds, however, that utilities in the state are actively interested in energy storage technologies and are currently developing storage projects. 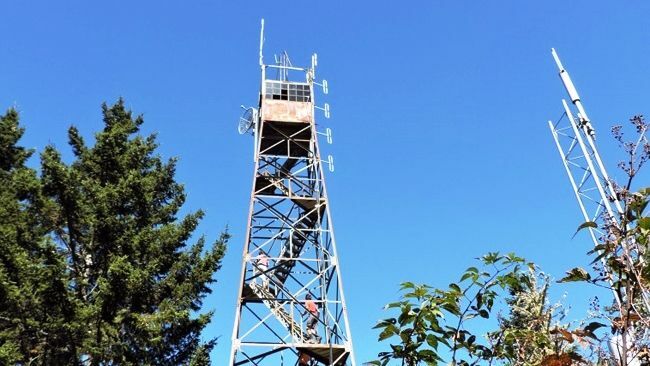 In November 2016, for example, Duke Energy proposed a solar energy and battery storage project in the Great Smoky Mountains National Park to power a remote communications tower. The Energy Storage Workgroup of the North Carolina Sustainable Energy Association notes that the cost of energy storage has declined significantly and storage technology performance has advanced appreciably. Expressing optimism about the growing number of NC utilities’ energy storage pilot projects, the workgroup states that improvements will come as the state provides clear guidance on how energy storage may be commercially deployed. Entitled Balanced Energy Solutions for North Carolina, HB 589 was signed into law on 27 July 2017. Requiring new regulations aimed at achieving a statewide solar target of 6,800 MW by 2020, HB 589 would far exceed SEIA’s forecast, mentioned above, and more than double North Carolina’s solar energy capacity in the next 3 years. Passing the House by 66-41 and the Senate by 36-4, the new solar law represents an intensive negotiation effort between NC utility officials and solar advocates. Features of the bill include establishing a competitive bidding program, better access to low-cost financing, a solar leasing program, and community solar provisions. As mentioned above, HB 589 also requires new net metering rates and gives a nod towards developing the state’s energy storage policy. Plans for community solar programs in Duke Energy Carolinas and Duke Energy Progress territories are now required to be filed with the NCUC and programs will be available after the NCUC approves the plans. HB 589 states that a minimum of 5 subscribers is required, with no individual subscriber owning over 40% interest in the project. No net metering will be available for community solar projects. Rather, subscribers will be credited at the avoided cost rate for all electricity generated by their share of the project. Also authorized by HB 589, solar leases will now be available in Duke Energy Progress and Duke Energy Carolinas service territories, as well as any municipal utility opting into the solar lease provision for its customers. Costs associated with offering solar leases by these utilities to their customers may not be recovered through customer rates. A set of requirements is also imposed on the companies offering solar leases, including required contractual provision between the customer and the company, disclosure requirements, and record-keeping requirements. In addition, an official certificate must be obtained from the NCUC before a company may offer solar leases in North Carolina. The cost of a solar installation in North Carolina has dropped dramatically in the past few years. As of mid-2017, the average installed price for solar panels in North Carolina is $3.23 per watt. With a typical rooftop solar system size of 5 kW, the average price in North Carolina would be $16,150 before any tax credits, incentives, or rebates. After the federal ITC of 30%, or $4,845, the price whittles down to $11,305. 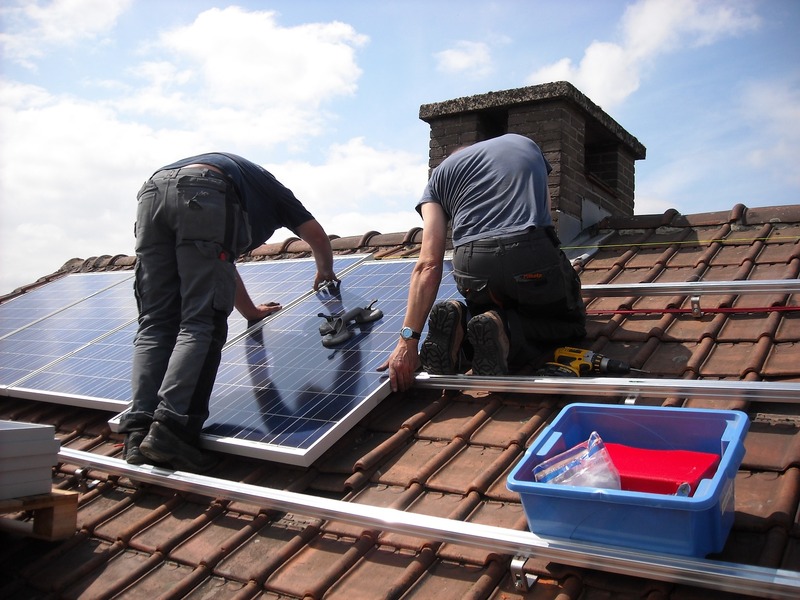 Of course, every solar installation is unique so it’s best to get an initial quote and then have a local installer take a closer look at your situation so you can get a more specific quote. 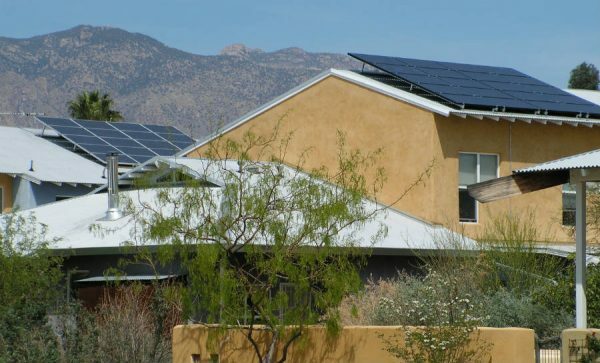 Keep in mind that residential solar installations typically produce electricity for 20-plus years, offering substantial savings in utility bills over this long term. Studies have found that the average solar homeowner saves about $1,000 a year over 20 years as a result of going solar. This means your payback period is roughly 11.5 years and it’s all free, clean energy after that–contributing a solar power harvest of about $8,500 by year 20. And, even if you decide to move before 20 years, the rise in property value contributed by your solar installation can likewise be substantial. For example, a 5 kW solar installation adds an average of $29,555 to the retail value of an average, medium size home. The appreciation in property value alone is more than double the price of the solar installation! 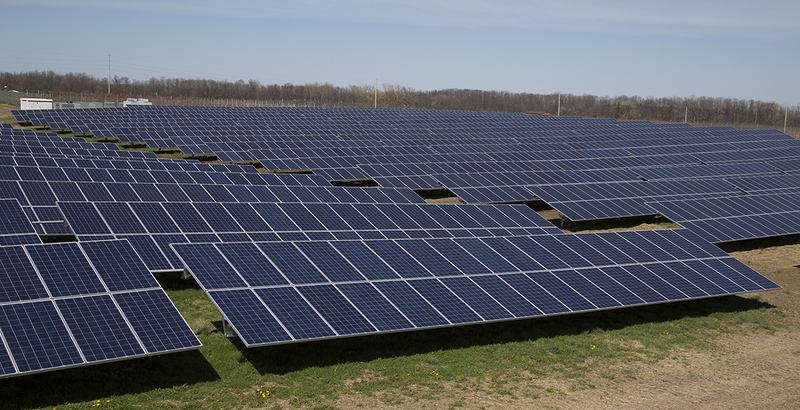 Conetoe II Solar LLC, recently completed in 2015, provides 80 MW of solar capacity–enough solar energy to power over 9,030 homes. Carol Jean Solar, with 4 MW of capacity in Walnut Grove provides enough power to plug in more than 451 homes. 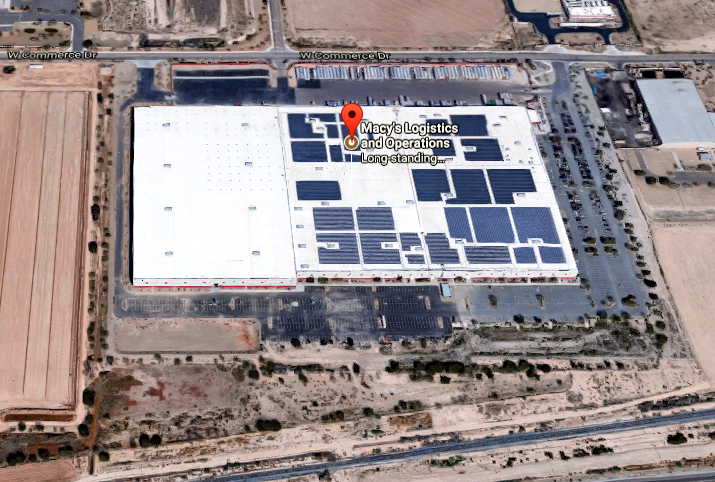 Also going solar in a big way in North Carolina, IKEA has a 1.1 MW system on its store in Charlotte, and SAS has a 2.2 MW solar farm on 12 acres adjacent to the new Executive Briefing Center in Cary. Curated from rankings and reviews from such sites as solarpowerworldonline.com, and solarreviews.com, the following list represents the leading North Carolina solar energy companies in the market. Check out this great YouTube video! Have you ever wondered how sunlight can travel 93 million miles from the Sun to the Earth, and still have enough oomph in reserve to burn your light bulbs? That, in a nutshell, is the miracle of solar energy. As for how solar panels work, that’s a little harder to fit in a nutshell but if you think of yourself as a kind of walking, talking vessel for solar energy, it’s a little easier to understand the science behind the miracle. To begin at the beginning, energy refers to the ability to do work. In other words, energy is not a person, place, or thing. Energy is the state of being at work. Loosely speaking, “work” consists of movement, or at least the potential for movement. So, the thing at work — aka an energy carrier — can be anything at all — a star, or an elephant, or a rock, or you lying in bed at night and dreaming of solar energy. At the other end of the size scale, the thing at work can be as small as a subatomic particle. That brings us to the “solar” part of the solar energy equation. Light is a unique phenomenon because it behaves like both a wave and a particle. Its wavelike behavior includes the ability to travel through space (at the speed of light, of course). The particle behavior — first described by Albert Einstein in 1905 — includes the ability to interact with another material — in other words, to work. That’s common knowledge now but Einstein broke with generations of settled science when he proposed that electromagnetic waves (including visible light) consist of discrete units or “packets” of energy. Btw, coinage of the word “photon” is credited to the physical chemist Gilbert Lewis, who first used it in 1926 to describe those packets of energy. So, How Do Solar Panels Work? If you caught that thing about light being able to interact with other materials, you’re on to something. Think about the last time you got a sunburn, and it’s pretty clear that photons interact with material on earth. Sunlight can also touch off a chain reaction deep within your body — for example, by setting Vitamin D production in motion. So, yes, you are living proof that solar energy still packs a punch after its 93 million mile journey to Earth. That brings us to solar panels. In 1839, teenage French scientist Edmond Becquerel got the credit for being the first researcher to document that sunlight can interact with certain metals to generate an electrical charge. That’s the essence of photovoltaic technology, aka solar cells and solar panels. The first functioning solar collector on record was built by an employee of the Carnegie Steel Company, William J. Bailey. In 1908 Bailey developed a solar energy harvesting device consisting of copper coils and an insulated box. That’s more or less the idea behind today’s generation of solar panels. The rest is basically a matter of finding the most efficient materials for converting sunlight to electricity. In the 1940s, Russell Shoemaker Ohl of Bell Laboratories accidentally stumbled on the basic element of modern solar cells when he observed the effect of sunlight on a defective sample of silicon. It took a while after that but Bell Labs is widely credited with introducing the first working silicon-based “solar battery” in 1954. No, Really, How Do Solar Panels Work? For light dinner conversation, that’s about all you need to know. Sunlight creates an electrical charge in certain materials, back in the middle of the last century researchers discovered that silicon does the trick, now pass the potatoes. Now go back to Ohl’s discovery, and you can see where things get a little more complicated. The American Physical Society has a handy rundown of Ohl’s observation. Check it out for more detail, but for those of you on the go, it all boils down to the defect in the silicon sample. When Ohl exposed the silicon to sunlight, a positive charge built up on one side of the crack, and a negative charge built up on the other. In other words, he accidentally created a solar cell with a basic p-n (positive-negative) junction. According to APS, the Ohl’s solar cell had a conversion efficiency of 1%. If that doesn’t sound too impressive, it’s not — at least by today’s standards. Conversion efficiency refers to the portion of sunlight that can be converted to electricity, and the latest crop of silicon solar cells tops 25% in the lab. For those of you interested in more history, the US Department of Energy has assembled a handy timeline that traces all the major steps that took us from 7th century BC ant-burners (no, really!) on up to silicon and other high-efficiency materials for solar panels. Aside from carbon nanotubes, one of the most exciting developments in recent years is graphene, a form of carbon that comes in atom-thin sheets. Graphene was discovered by a pair of researchers in 2004 and it quickly became the “it” material of solar cell research. Graphene developments of recent note include the use of bacteria to fabricate graphene sheets with desirable “wrinkles” to enhance efficiency, and a graphene-silicon “all-weather” hybrid cell capable of harvesting energy from rainwater as well as the sun. Another promising photovoltaic material is perovskite, which refers to a class of synthetic crystalline materials based on the naturally occurring mineral perovskite. Belgium’s IMEC, for example, just reported a conversion efficiency of 23.9% for a silicon-perovskite cell. 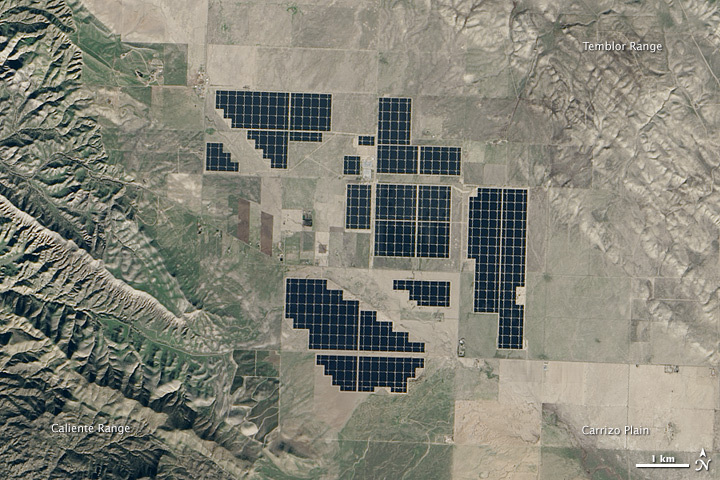 Thin film technology has also had an impact on the solar field in recent years. “Thin film” refers to solar cells that are made by depositing layers of a solution containing microscopic particles of photovoltaic material. Though generally not as efficient as their silicon cousins, thin-film solar cells have the advantage in other ways. The layers can be coated on practically anything — glass, for example — so thin-film solar cells can be integrated with windows and other building elements. They are also lightweight and flexible when layered on thin sheets of plastic and other materials, lending themselves to a range of applications unavailable to conventional solar cells. That’s just a taste. We haven’t even gotten to the inverter thing or why tracking systems are a good idea, or other solar-related fields like passive solar and solar thermal — which includes devices that can range in size from the rooftop hot water heaters on up to massive concentrating solar power plants. Researchers are also tinkering around with artificial systems that mimic the chemical reactions involved in photosynthesis, in order to pump out hydrogen fuel and other fuel products. To catch up on all the latest solar news — solar energy, solar panels, and much more — take a scroll through the CleanTechnica solar archives.